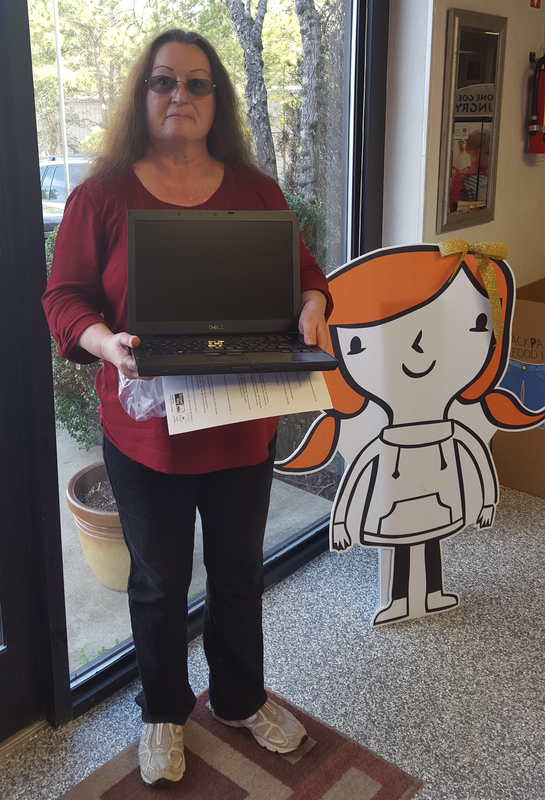 Sandy Marsh, Agency Director of Southern Mission Ministries, with her discounted computer. The goal of the Food Bank of Central & Eastern North Carolina has always been to effectively distribute more food, ultimately feeding more of our hungry neighbors. As our services grow, so must the capacity of our network. 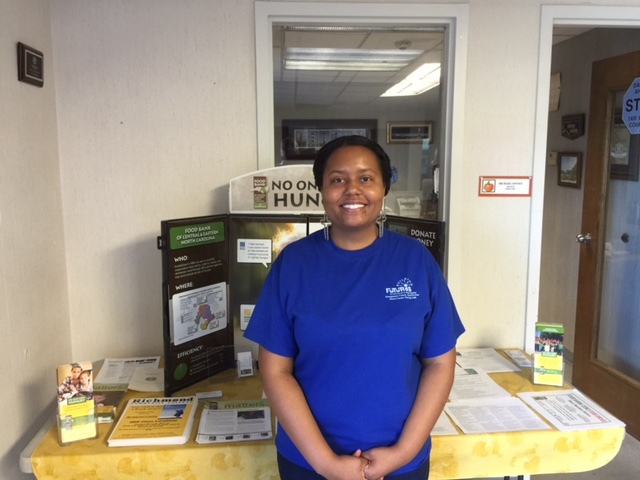 By increasing access to technology, the Sandhills Branch has increased the feeding reach of our community partners. 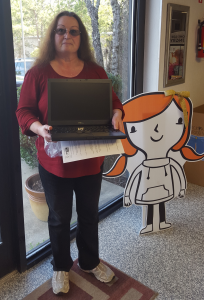 Through a partnership with the United Way of the Triangle’s Teaming for Technology program, our partners can purchase computers at a deeply discounted rate. These are local nonprofits that can now use their computers to research and apply for grants, track inventory, develop electronic client databases, and take online courses (including the food safety courses required by the Food Bank). The Sandhills Branch has also partnered with Sandhills Community College Continuing Education Program to offer low-income clients free computer classes at several different partner agency sites in the area. Nearly 200 students have participated in either a basic or advanced computer skills class since the partnership began almost three years ago. Sandhills Outreach Coordinator Jessica Ledbetter has been key to organizing these partnerships. “I believe that these classes have been instrumental in helping people attain new skills to become more marketable in a competitive job market,” said Jessica. “To end the cycle of poverty we have to go beyond food distribution and adopt a more holistic approach to ending hunger.” Through collaboration, the Food Bank is helping feed bodies and minds in the Sandhills region. As leaders in hunger relief, we continue to develop innovative programs to not only provide emergency food to the community, but to ultimately break the cycle of poverty.